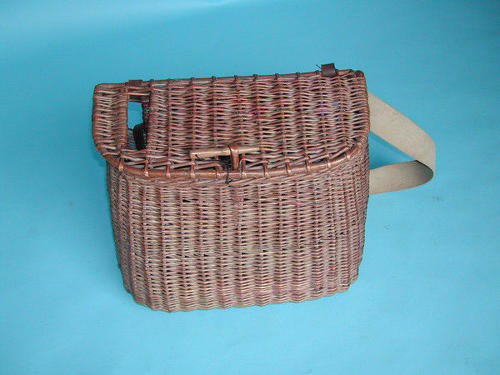 A good example of an early 20thc wickerwork Fisherman's Creel, used for holding the Trout caught by the Fly Fisherman on the river or the brook, in excellent original condition. English. C1920-30. Provenance: Formerly owned by Harry Spencer - well known country artist.